This print will also be available to buy as part of the 'Ghost of Gone Birds' show. The show is dedicated to breathing artistic life back into the bird species we have lost. There will be live printing, talks, readings and performances. 50% of all profits from work sold will go to charity. 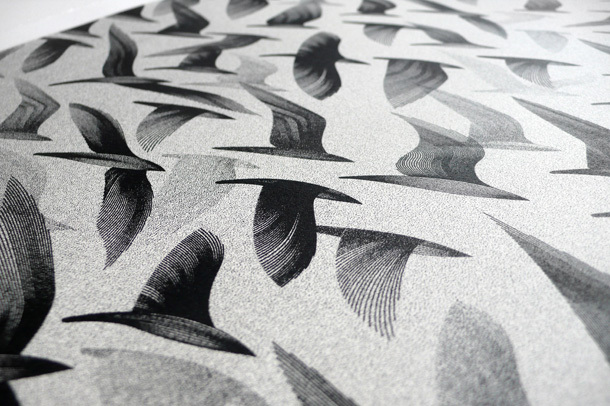 Sunny and I are delighted to have our Migration East print included into the Victoria & Albert Museum Collection. This print has been accepted as part of the Ghost of Gone Birds portfolio by Frances Rankine - Curator of Prints. 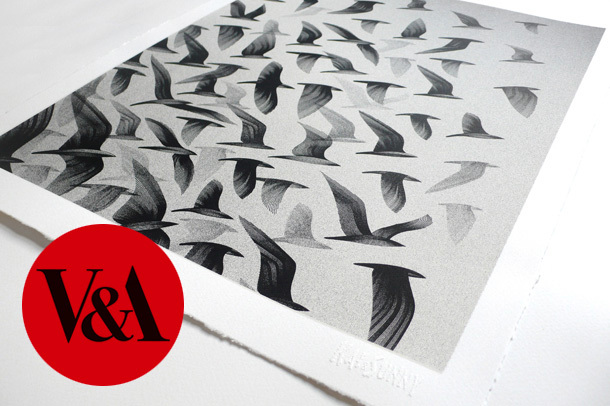 Our Edition of 42 has now SOLD OUT, however we have 3 Artist Proofs.